Category Archives: contradictions in scripture? Proving there are no contridictions in scripture. This post will be the summation of my last two post. 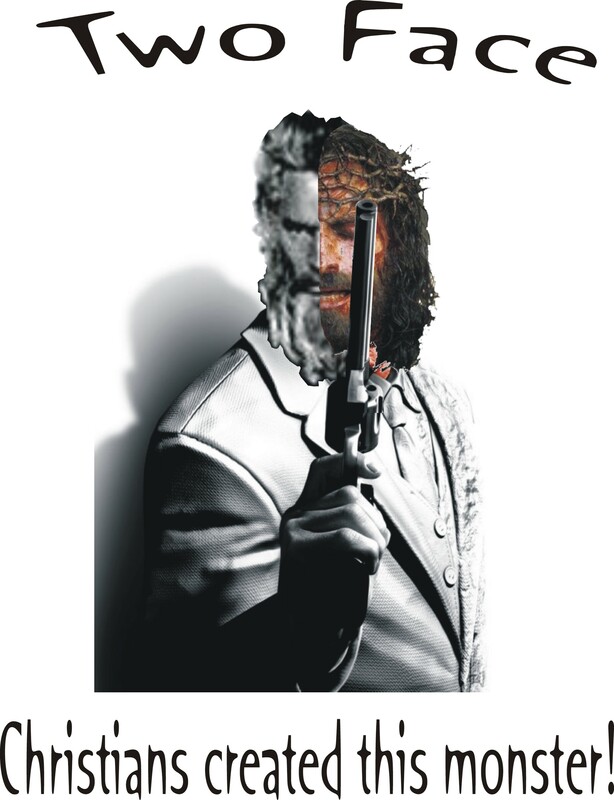 ‘Two Face the Gospel’ and ‘Competing Word of God’ looked at the two different gospels preached from the word of God. The big question is, how can the Bible appear to teach a gospel of grace and not by works and a gospel that teaches we will be judged by what we do. One teaching concludes that our behavior has nothing to do with our hope of salvation while the other teaches it has everything to do with our eternal destination. Are we forever bound to have two gospels? 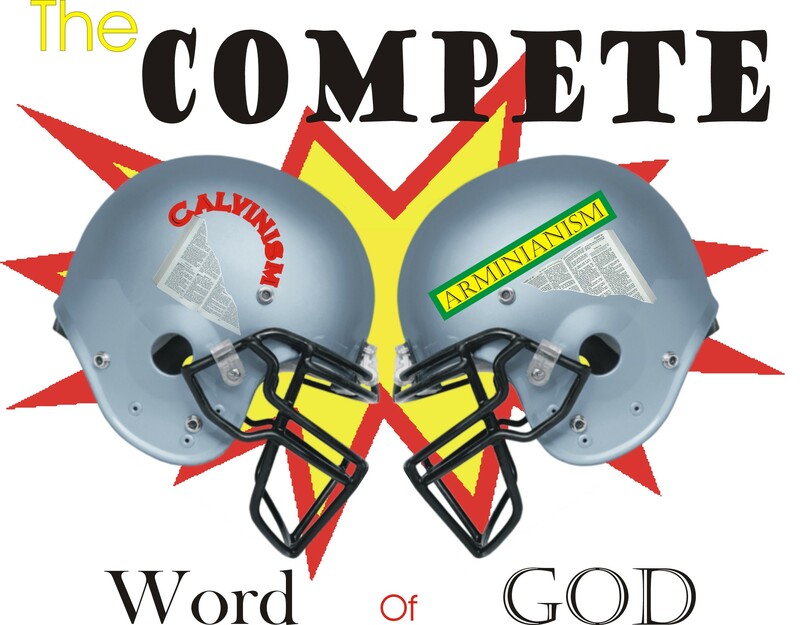 The Compete word of God? 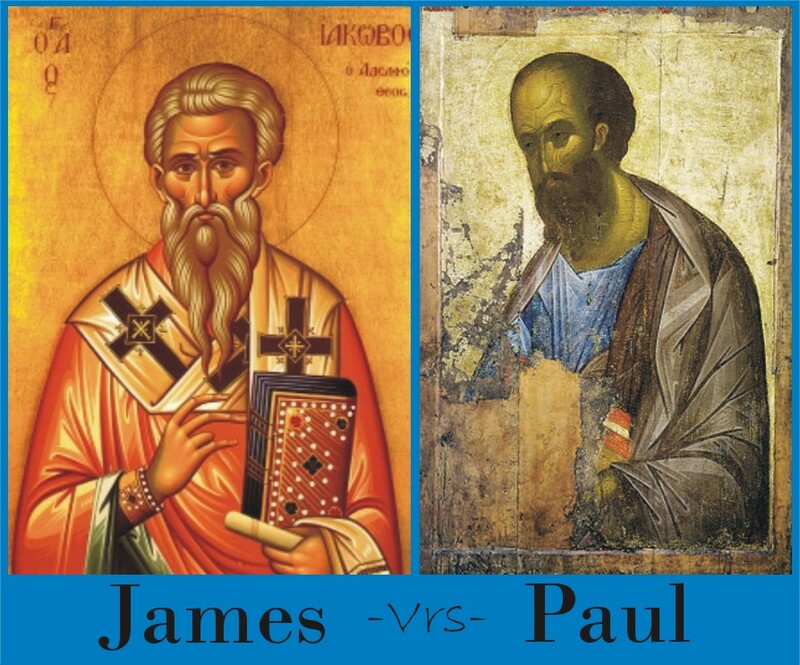 Paul verses James? This post is a testimony to the purity and the clarity of God’s word as testified to and defended by The Gospel According to the Gospel. This testimony comes in contrast to what is preached in other Christian circles concerning the conflict between James and Paul. These other Christian influences have separated into two different camps in radical opposition to each other. They have settled for the Compete Word of God. But the testimony to the purity of the gospel that is defended and expounder on here at The Gospel According to the Gospel doesn’t divide the gospel of scripture into two opposing theologies. Rather The Gospel According to the Gospel shows the unity of the gospel of scripture as the Complete Word of God. Sadly, even with the testimony of the harmonization of two opposing theologies, it is the gospel the church refuses to believe. At odds in the church is the doctrine of works and the doctrine of grace. One part of the body of Christ teaches that works has nothing to do with our position before God, for it is by grace that we are saved. They give us the testimony of scripture. They boldly defend what Paul has written, they repeat over and over again it is not of works but grace we are saved. And so they should for our imputed righteousness is by grace alone. On the other side of the coin we have those who say faith alone is not enough to justify a man. They quote scripture accurately that confirms this. They boldly defend what James has written, they repeat over and over again that faith without deeds is dead. And so they should for man is not justified by faith only. So here we have what appears to be two hugely monumentally apposing doctrines of scripture resulting in the Compete Word of God.. The churches lack of understanding concerning its own hope of salvation and the covenant God gave Abraham brings into question the perfect word and testimony of God. Due to this lack of understanding the Calvinist circles their wagons around Paul and vigorously fights off any opposing ideas of grace alone. They assume they are only fighting off Arminianism but the truth is, they are battling against what scripture clearly teaches. They twist and contort or ignore this word of God from James to defend their doctrine based on half of the whole council of God. They are the home team in the Compete Word of God. Due to the lack of understanding and teaching by the Calvinist the Arminianist in their own lack of understanding circle their wagons around James. Arminianism fights off grace to defend works and makes it look like they are supporting a salvation based on works. They marginalize a fundamental truth concerning our faith and this is, it is by grace. They are the visiting team in the Compete Word of God. There is a huge chasm that exist in Christianity today because neither side has taken the whole council of God rejecting the Complete Word of God. Nor do they understand what the gospel we find in our scriptures testify to. As testimony of the validity of The Gospel According to the Gospel as the whole council of God, these two apposing views will be brought into one gospel as scripture declares it. The dividing wall of hostility of man’s doctrines will give way to the gospel found in scripture, the Complete Word of God, within the context and example of the covenant that God made with our father Abraham as taught in our New Testament by our gospel writers. We will discover that what God has done for Abraham and his descendents is no different that what He has done for us. And we will further discover what Hebrews testifies to. That is our gospel was preached to those at Mt. Sinai as well as to us. We will discover what is testified to in the New Testament of the gospel Paul preached when it says of him, when he finally made it to Rome, that he preached from the Law of Moses and the prophets. Being found worthy in a world of crickets? Every now and then I will do a Check it out segment on this site to draw attention to something happening out of the main light on my sight or a conversation I am having on another blog. The last one I submitted was a conversation about the differences between James and Paul. James says it is not by faith alone but works that a man is justified. Paul says it is by grace and not works. I challenged those on the website and those who read it to explain the difference between the two points of views. So far all I get is the sound of crickets. I have read a lot about Paul’s perspective on this site but nothing is put forth concerning these supposed apposing views. This Calvinism sight refuses to even explain James 2:24 for me. It is crickets again. My last post Are you worthy in a world of election? challenged the mindset that it is only James who appears to appose Paul’s teaching of grace alone. For Christ Himself spoke of being found worthy. Those not found worthy were punished in wrath. This in itself contradicts the Calvinist understanding of election which teaches it has nothing to do with works or being found worthy. It is my purpose to build up what looks like two hugely apposing theologies in scripture, which doctrines find themselves encamped in, in order to demonstrate the integrity and purity of the gospel spoken of and defended here at The Gospel According to the Gospel. It coming days I will post a long post that will show how our gospel is not divided and that James and Paul do not contradict each other. Furthermore I will use the covenant that God gave Abraham, that we now participate in, as our example. In light of this I wish to discus more scripture that speaks of our participation and not election only in what God is doing for us. Ironically this verse comes from Paul, whom the Calvinist rally around to prove their positions on election and grace. Yet we find Paul talking about believers being found worthy. First of all I find it very interesting that Paul says they pray for them always to be found worthy of the calling of God. If it is as the Calvinist say, that those men who are elected by God can not resist His irresistible grace or His sovereign will in His election, that they must be and will be saved. Why does Paul pray for anyone to be found worthy of anything? Calvinism teaches we have nothing worthy that we are totally incapable of offering anything worthy. Since Calvinist teaching takes all responsibility of man’s eternal destiny from him, it strips him from the responsibility and consequences of walking out of his faith. Now if this is as I advocate, is against what scripture teaches, then this leads men to become disconnected from their responsibilities in the maintaining of their own faith that can save them. This is why it is so important to defend the true gospel. Why would Paul also pray that God would fulfill all the good pleasure of His will concerning the saints if Paul believed like a Calvinist? Paul would not need to pray this, since it would be a given the saint can not resist His will. For the Calvinist to say that Paul prayed this so the saints would live up to their calling, is not the same to be found worthy. Living up to their calling doesn’t carry the same weight as being found worthy. Not being found worthy excludes, where as not living up to the calling shames. So what do you think, do the Calvinist have it right, that man is not being asked of the gospel to be found worthy? Is it all by a select election and irresistible grace as they contend Paul teaches? Or is it that we have a responsibility in our faith and obedience to produce good works or else jeopardize our own election as James teaches? Well Calvinist what do you think, or will I only hear crickets? James always gets discounted and tossed aside in the debate over grace verses works. Calvinist proclaim that works has nothing to with ones salvation. Where as James uses our father Abraham as our example that faith without deeds is dead. In fact he states that Abraham was not justified by faith alone, but that his works made complete his faith. This goes completely against what Calvinist teach, but scripture is clear, faith alone doesn’t save if it is not accompanied by works, deeds, obedience or what ever you want to call it. For more on this see yesterdays post Abraham / faith verses deeds. The whole debate seems a strange one to me, as if there is two different, yet equally inspired gospels in scripture. One from James and one from Paul. James teaches we like our father Abraham our justified by our deeds, wherein Paul says, nope our hope is based solely on grace. Or does he? In the book of Romans, which the Calvinist think they have a corner on, Paul contradicts the doctrine of Calvin that says it is faith alone that saves us. Speaking of God, Paul says He will give men what there deeds deserve. Some by doing well, or obeying God if you will, will receive eternal life. I am sorry, but eternal life is on a level higher than just rewards. Eternal life is the hope of our salvation, to not die in the second death. So Paul is not just talking about rewards here. Others who do not obey the gospel will receive wrath. Paul himself taught the Romans that works, doing good, obeying scripture leads to eternal life. In fact it has to not just be mostly doing good but patient continuance in doing good. That means not walking away from the works of deeds to receive eternal life but always remaining in that state of obedience. Paul a just a little bit further down expounds on this principle of doing good, works if you will, by saying no one is justified simply by faith when he states that the doers of the law are those who are justified. (For not the hearers of the law are just before God, but the doers of the law shall be justified. For when the Gentiles, which have not the law, do by nature the things contained in the law, these, having not the law, are a law unto themselves: Which show the work of the law written in their hearts, their conscience also bearing witness, and their thoughts the mean while accusing or else excusing one another;) In the day when God shall judge the secrets of men by Jesus Christ according to my gospel. Paul states, according to his gospel, that we will either receive eternal life or wrath based on our deeds, not faith alone. Which is no different that what James says. Paul shows how even the gentiles are justified without the benefit of the gospel when the do what God has written on their hearts. Not by what they believe or have faith in only. 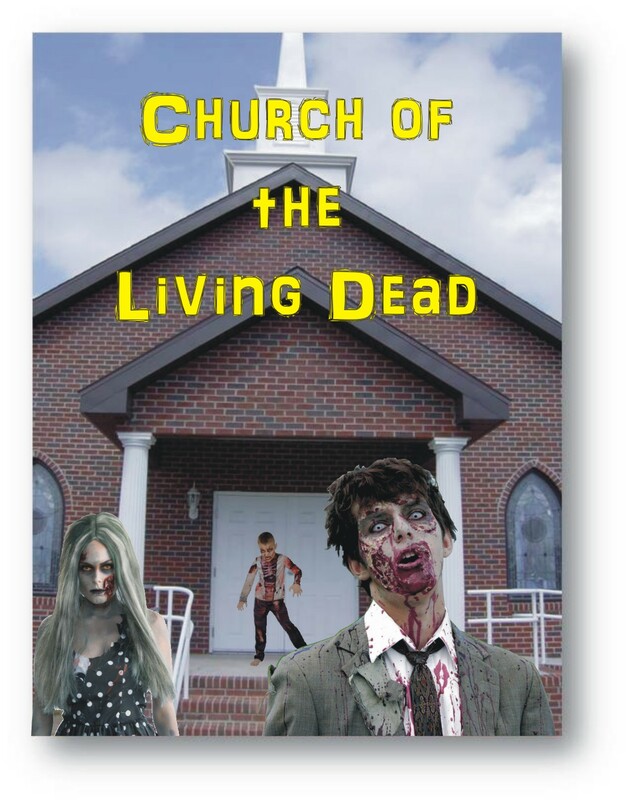 Now this has Paul’s signature on it if you will since he claims that this is his gospel. And this in Romans chapter two, the area the Calvinist claim superiority of doctrine. Hmm, go figure. I don’t particularly buy it, but many think the writer of Hebrews was Paul so I will for conversation sake attribute it to Paul, since none of us really knows anyway. Paul speaking of Christ taught that Jesus became the author of salvation to all that not just have faith in Him but obey Him. Isn’t this an example of faith being completed by works? If we do not put our faith to action what have we? If we have nothing, then our faith needs our works to become what it needs to be in order to have effective faith. Isn’t this at the heart of our gospel? We must obey to show we are His disciples. Isn’t it like James says, deeds complete faith, and faith alone is worthless.